Q: There seems to be a "glitch" when I use Firefox. I have rebuilt the page twice but I always end up with themenu floating to the left, instead of under the main menu (the second or third mouseover will correct the issue). Also, sometimes I have to mouseover twice before the submenu comes up (in I.E.). A: The reason is in your <!DOCTYPE>. Try to specify units in "px". It's necessary to specify exact value for Mozilla browsers. It helpsto position menus correctly. Q: Is there a way to programmatically specify which tab is selected in the html tabs navigation? A: You can set "bselectedItem" and " var bselectedSmItem" parameters based on your link before you call your data file. For example, move " var bselectedItem" and " var bselectedSmItem" parameters from your data file to your code. Q: I am intersted in a horizontal drop down menu. I need the rollover and selected color of each section in the onmouseover drop down menu to be a different color. When you click a link in the link1 dropdown, and go to that page, link1 will now be red (highlighted) while on that page, and link2 and link3 are still white. When you click a link in the link2 dropdown, and go to that page, link2 will now be blue, and link2 and link3 are still white. I also need the flyout menus to be able to be different widths. Say the drop down menu under link1 has short links, then it only needs to be 100 pixels wide. If the sublinks under link 2 are longer, its dropdown menu might need to be 200 pixels wide. In other words, the flyout width needs to be flexible to fit the length of the text in the link. I have tried other programs, but have found none that can do this. The problem seems to be they cant have different width flyout menus (often this is the case if they are css based). Does this make sense, and is it possible with your builder? To use different font colors for the main items you should useIndividual Item styles. And to cerate different color and differentwidth of the submenus you should use Individual Item/Submenu styles. See the attached example.zip. See how you should use styles. > I also need the flyout menus to be able to be different widths. > link2 and link3 are still white. Q: I tried the following for subitem and it worked but not working with the "Title item" (Group or header item), is there a way to process onclick for the title item? Thanks again. Expand over HTML content | Drop Down Tree Menu V3 A: Here is an example of the Drop Down Tree Menu V3 expanded over an HTML content. Is there an updated version of how to have Drop Down Tree drop over HTML content? 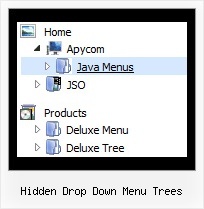 Dynamic Drop Down Menu - Samples - Deluxe-Tree.com Improve your website navigation with Deluxe Tree! 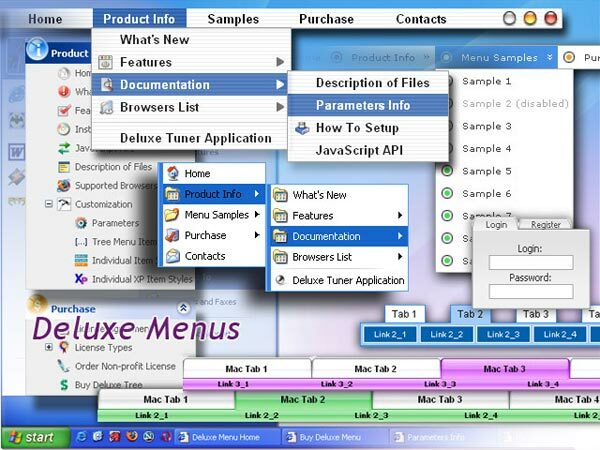 Drop Down Menu Hidden By Flash Template Drop Down Menu Hidden By Flash Mac Style Menu Flash Java. Help your website visitor find the information with ease with Vista Flash Menu! Tree Menu Items - Product Info - Deluxe-Tree.com Create fast and straightforward navigation for your website! Creating a CSS Drop down Menu - Joomla! Documentation An often-used solution is the drop down menu called "suckerfish" this and Bob's your Uncle you should have clean valid drop downs for your menu. Vertical CSS Dropdown Menu | DBTree Manage hierarchical data structures with this coldfusion custom tag. Create trees, menus, selects, breadcrumb trails etc.